India’s National telecom backbone and Pan India 3G Mobile and Data service provider Bharat Sanchar Nigam Ltd (BSNL) today announced the launch of 3 new Yearly 3G Data Packs for its prepaid subscribers. BSNL introduces new Yearly 3G Data packs of Rs.1251, Rs.2299 and Rs Rs.3299 offering 0.75 GB, 1.5 GB and 2.5 GB 3G data usage per month for 12 months. These new plans can be used while Home network as well as National Roaming on BSNL/MTNL network across India without any data roaming charges. The new packs will be available from 15th April 2013 in all circles across India. Main Account Validity One year from the date of recharge/activations. Further extension of validity, through same plan voucher. BSNL Telecom Circles can suitably adjust the MRP in the price band upto Rs.5 (+ / -) of above price considering the local market condition and technical feasibility. In case of Jammu and Kashmir circle, MRP of Special Tariff Voucher are exclusive of Service tax. The above plans will be implemented and with effect from 15-04-2013. 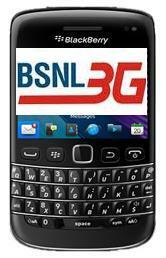 Old 3G Data Packs -Withdrawn : With the launch of above new “Yearly 3G Data Packs”, BSNL will close few data packs like Best Value Plan 700, 3G Combo data plans of Rs.331, Rs.551, Rs.1103 and Rs.2206, 3G data STVs for Tablets of Rs.80, Rs.751 and Rs.1000, and Data STVs for 3G Wi-Fi Router Rs.1500, Rs.2200 and Rs.3000 from 15th April, 2013.
what mean of (Availability)Through C- Top-up only ???? That means you don’t get paper recharge coupons for those denominations. C-Topup is like easy recharge for private operators – a retailer can do it or you can recharge online.